The Bee is a symbol of abundance, love, community, teamwork, celebration, fertility and industriousness. Find more information about the Bee Totem here! 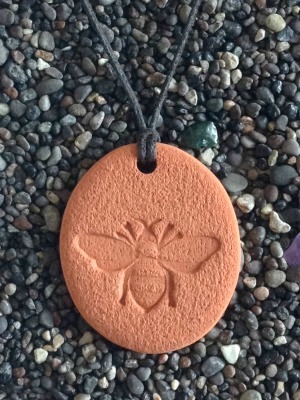 The Bee Pendant measures 3.25 cm by 3.75 cm (1 ¼ by 1 ½ in).